Most of us associate creativity with painting a picture, writing a novel or other expressions of art. While these are are indeed examples of creative acts, creativity isn’t just a skill or trait only attributed to artists. Scientists can be creative. Business leaders can be creative. Teachers can be creative. Anyone can be creative. With the rise of technological automation and the so call “Imagination Age”, the number of jobs that require creativity are on the rise. Even more, the act of creative expression can be a very fulfilling experience and one that brings true happiness. This module will explore what creativity is and why it’s a key component of the innovation process. Furthermore, we will identify strategies on how we can improve our creative abilities. Congratulations to our two Learners of the Month! 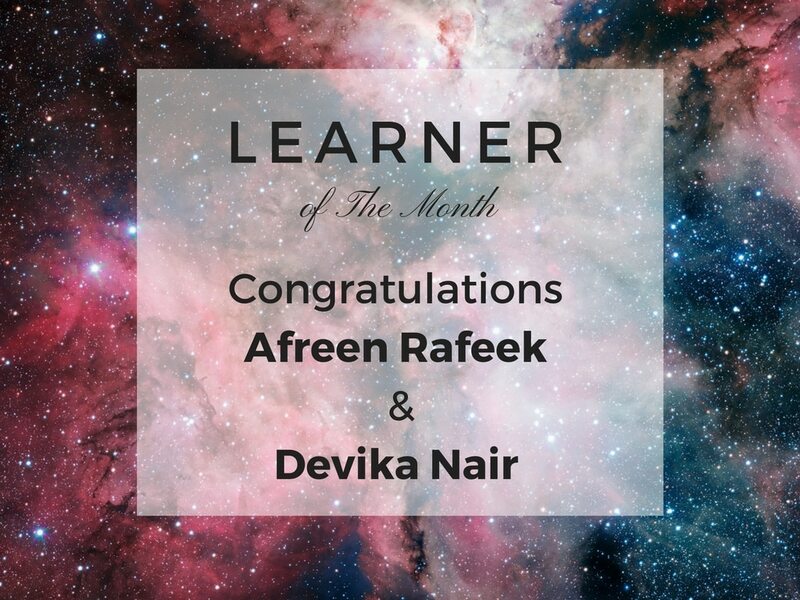 These two incredible learners have tied for the award this month, and each has completed the most modules in January. They are being recognized for their commitment to knowledge. We will be continuing the award next month and recognizing the learners that complete the most modules in February, so keep up the hard work! Contemporary Art in many modern art galleries in the Western World can be bewildering to many people. For many art insiders, art—especially conceptual art—is a substitute religion—an avenue down which to direct their existential impulses. Art demands leaps of faith, but it rewards the believer with a sense of consequence. Artists make work that ‘look like art’ and behave in ways that enhance stereotypes. This module focuses on the role of art in modern society, why it is so popular, the key figures in the art world that make it a multi-billion-dollar industry, the subculture of art and what art means to different sections of the art world.